To see how we avoid supporting those who enslave others when we purchase other goods, see my main post on shopping for human rights. Sugar is one of the five highest-value categories of goods likely to have been produced by forced labour (the others are cocoa, computers and electronics, clothing and fish and seafood). The US Department of Labour reports that forced labour is used in the sugar industries of Brazil, Burma, Dominican Republic, Bolivia and Pakistan; and that child labour is used in the sugar industries of Turkey, Panama, Burma, Paraguay, Cambodia, Phillipines, Colombia, Thailand, Dominican Republic, Uganda, El Salvador, Vietnam, Guatemala, India, Kenya, Belize, Mexico, Boliva. That's not something I want to support, but until recently I've been unsure how to avoid it. However, I've recently learned that Countdown own-brand sugar is Bonsucro certified. This is an independently audited certification that ensures the sugar farms and mills are free of child and slave labour. That's what we'll be buying from now on! 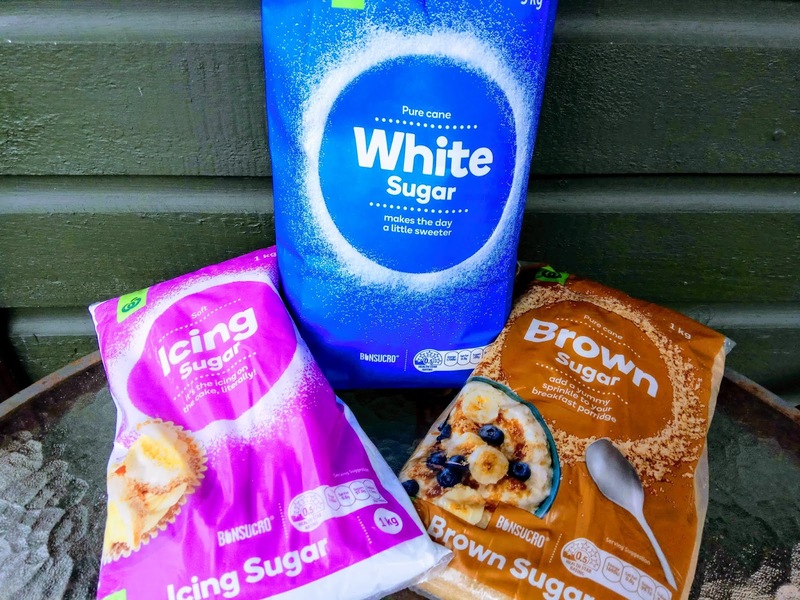 The Countdown sugar range includes white sugar (in 1.5kg, 3kg and 5kg bags) as well as brown sugar, raw sugar, icing sugar and caster sugar. Slave-free muscovado and golden granulated sugar is also available from Trade Aid; demerera sugar that is likely to be slave free (but uses a small certification I'm not really sure of the reliability of) is available from Ceres Organics. As stated above, child and forced labour is well-known in the sugar industry. Another issue is that sugar prices are artificially subsidised or guaranteed in China, the EU, Guatemala, India, Indonesia, Thailand and the US. This means that producers in other countries are competing with artificially inflated prices: this makes it hard for them to make a living, leading to cost-cutting practises like child labour, unsafe working conditions and forced labour. So, whilst I don't want to buy sugar from those low income countries where it may have been grown or processed by children or slaves, I also don't want to buy sugar from the EU or the US, as subsidies there are contributing to the problem. When I first became aware of these issues in 2013, I decided that my best option was to purchase sugar from Chelsea: at that stage all their sugar was grown in Australia so, whilst buying it didn't help people in low income countries, at least it was slave-free. Since then, Chelsea has changed. 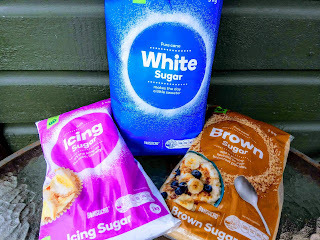 They now buy raw sugar from Australia, South Africa and South America, although they only buy from growers who are members of Wilmar International. Wilmar is primarily a sustainability organisation, and at the time Chelsea introduced this policy the only human rights provision they made was that the sugarcane had to be grown on land the company had a right to use. That wasn't good enough for me and I became quite unsure what sugar to buy. Since then, however, Wilmar has added in some important human rights policies: they now prohibit forced labour, and they prohibit children under 18 engaging in hazardous work although they are willing to hire young people aged 15-17 if it is legal for them to be out of school in that country. That's much better, although I note that there are no audit provisions for checking whether a farm or mill is adhering to these policies: it seems Wilmar would only know there was a problem is a whistleblower drew it to their attention. In an industry where both forced and child labour are quite common, I am uncomfortable buying sugar where no one is actively checking that such practises are absent. So I'm really pleased to have learned that Countdown own-brand sugar has been Bonsucro certified since earlier in 2018 :-) They've done this as part of their environmental sustainability efforts (point 11 of their 2020 strategy), but Bonsucro sugar also has to meet strong labour rights standards which are rigorously audited by third-parties who interview staff and visit both farms and mills. With one exception, no Bonsucro-certified farms are in high-income countries with a subsidised sugar industry. The majority of Bonsucro-certified sugar comes from India and Brazil, although I expect Countdown's likely comes from Australia. I wasn't previously familiar with Bonsucro certification, but it turns out it is widely used in Europe, especially for ethanol produced from sugarcane. I couldn't find anyone complaining that it doesn't uphold the standards it claims; instead I found academics promoting it and encouraging NGOs to become involved with it. Bonsucro is also a member of the ISEAL alliance. palm sugar - which we use in Thai dishes and which we'll continue to buy as before. Palm sugar is made from the sap of the coconut palm; it is a quite separate industry from the sugar-cane industry and doesn't appear to share the same human rights concerns. Note, though, that there is child labour in the Philippine coconut industry - one of the major sources of coconut sugar in New Zealand. Countdown don't do the more sophisticated varieties of sugar such as golden caster sugar, muscovado and demerara. For these you have two options. Trade Aid sells golden sugar and muscovado sugar that is certified fair trade by the World Fair Trade Association - an excellent and widely-respected certification. Ceres Organics sell golden, demerera and icing sugar that are certified fair trade by IBD EcoSocial. Note that they also sell coconut sugar and rapadura sugar that aren't fair trade certified - check the label for the green EcoSocial label. I wasn't previously familiar with IBD fair trade certification and am still somewhat cautious about them: it seems to be a tiny certification body (which can make it hard for the certifier to adequately audit members) and I could find basically nothing about them online. However Commonsense Organics, who share a founder with Trade Aid and seem somewhat picky on which fair trade certifications they accept, have assured me that they think the IBD certification is sound, so that should be your go-to if you want demerera sugar! We do most of our own baking and make most of our own preserves so our remaining exposure to potentially slave-produced sugar isn't huge. Still we do buy some ice cream, Special K cereal (for me to eat on Sundays), UTZ-certified chocolate (where only the cocoa is certified slave and child-labour free), various condiments like tomato sauce, the occasional fizzy drink and 'instant desserts' like jelly crystals and instant pudding. So there's still a few things to work on! Ecostore's packaging (which uses sugarcane waste). Internationally it is used in some products made by many large users of sugar such as CocaCola, Pepsico, Nestle, Mars, Ferrero and Mondeleez (Cadburys' parent company).